I still recall the day when my pediatrician gave me the small pack of Friso Gold Milk Powder at Tung Shin Hospital in year 2010 for my girl to try as her first formula milk. That was the most memorable moment, my first pregnancy and my first experience in labour room with 3 hours of pain and finally my cute baby girl is born. Ever since, all my three kids age 6, 4 and 3 years old have been drinking Friso Milk Powder and continue until now. They love the taste and it seems suitable for all of them. 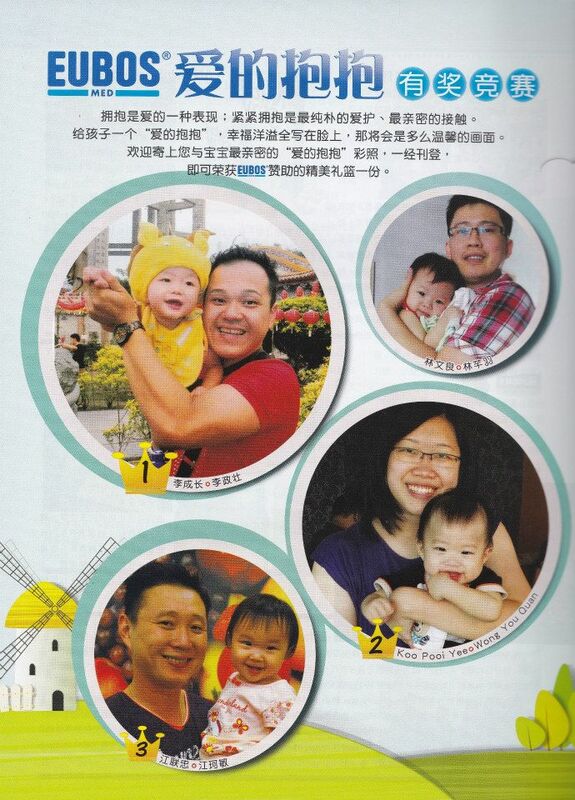 I am a happy mum of course because they don’t have milk allergy problem and adapt to the milk powder easily. It does help in their digestive system and also provides them full nutrients that they need to make them stronger inside and active. I always ensure my three kids get the sufficient milk every day. They will drink about 6-10 times per day especially my second girl she loves drinking milk instead of having solid most of the time. I am glad at least she get nutrition from the milk powder and also her bowel movement also seems improving. Nutritious formula milk that gives them a healthy growth and she love the flavour most importantly. She will be telling me her milk taste good and delicious. Smiling faces of satisfaction and happiness from her face makes me feeling so overjoyed. During their milk time, I enjoy watching three of them lay down comfortably enjoying their 'nen nen' (milk).Milk is their essential need and the Friso Gold milk is supplemented with extra nutrition and goodness for my child. Rest assured that when kids are healthy inside with good digestive system, they will surely become active and can explore their activities better. Friso Gold starts at the source in Holland. Friso Gold’s milk comes from their own farms. At over 19,000 farms of the company, over 140 years of their dairy expertise is used to create the ideal nourishing environment for producing high quality milk. They ensuring care at every step of the process to provide the nutrition your child needs. Friso Gold Milk contain no added sucrose which gives them another good advantage. The recent newly improved Friso Gold with LocNutriTM technology helps to preserve nutrient in its native structure during its manufacturing process, so that it is easily absorbed by the body for easy digestion. I believe this must be a very important criteria for ensuring my kids have strong immune system inside with these full nutrients they get from the formula milk. Friso Gold 4 comes with well packaging. It has improved so much since the first day I bought it. 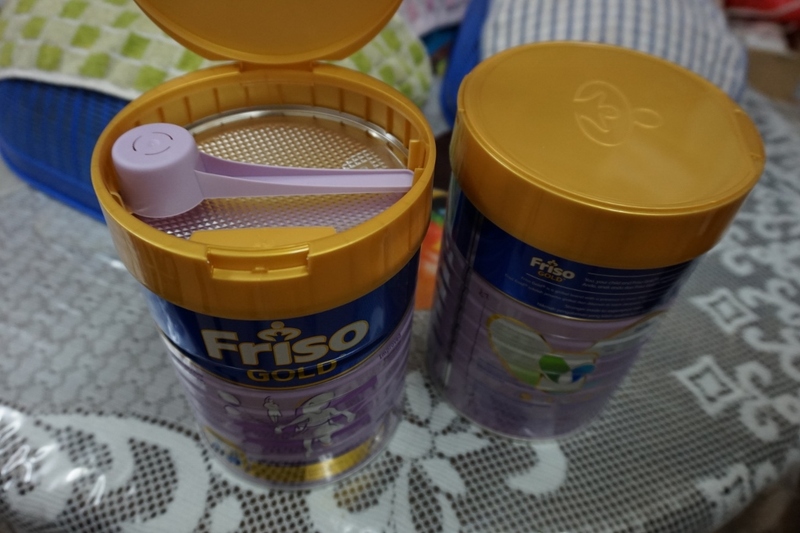 We have been using the Friso Gold 3 and 4 continuously and all my 3 kids are comfortable with the taste and get used to it. Some company do gave me some sample to try on other brands. But I still find that Friso is a very good brand for my kids and they have no constipation problem at all. 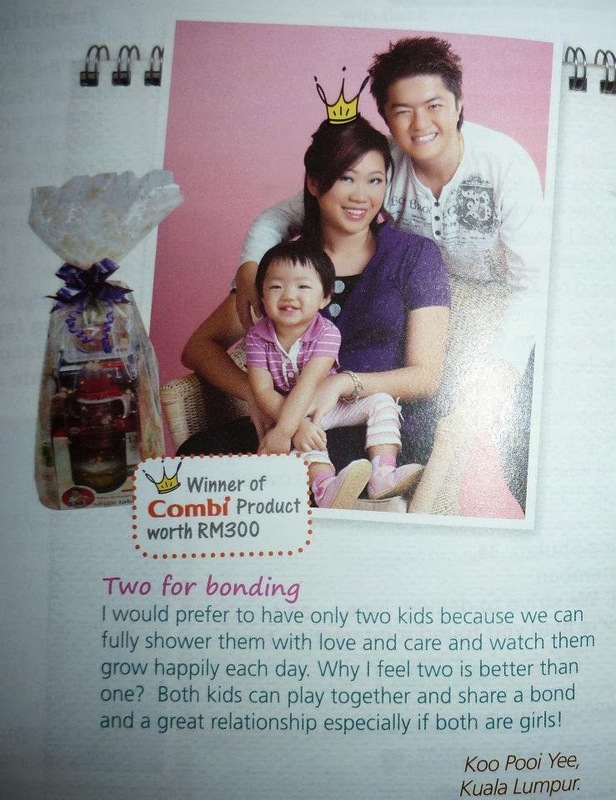 It gives me confident and assurance to make my kids strong inside with the nutritional needs. Each pack comes with tight seals. Cleaner and easier protection lid. 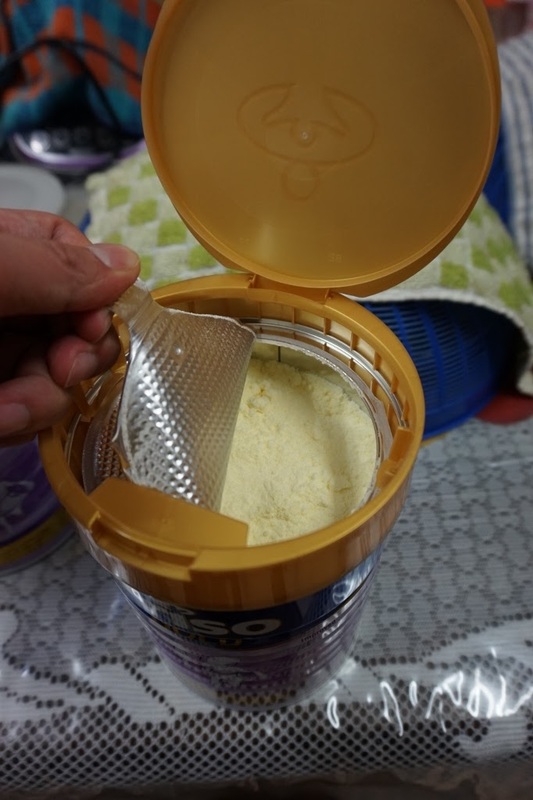 More hygienic way of using the scoop and you can insert back at the top of the cover. 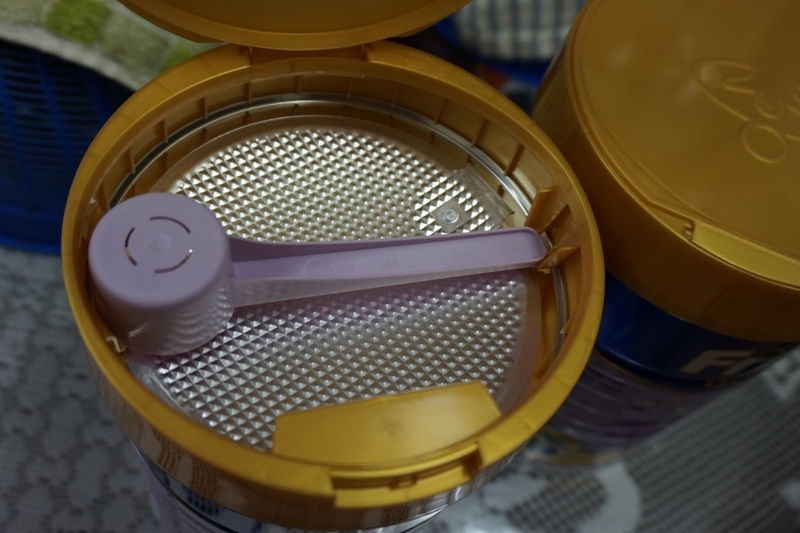 It has the measurement side where you can accurately scoop your formula milk and levels off excess easily. Just use lukewarm water and put 3 scoops of milk powder inside depends on your kids age and how much portion they need. Parents are feeling great enough when our kids are running happily and giving you a big smile and laughter..and oh ya ..a sweet hugs. Friso Gold Milk is always our best companion in ensuring my kids growth and giving them complete nutritional need. To make the most of life's experiences, my child needs to be stronger from the inside. Therefore, I ensure they have a regular milk consumption that gives them great immune system, good digestive system for them to have a active lifestyle and to explore more new experiences with me together. 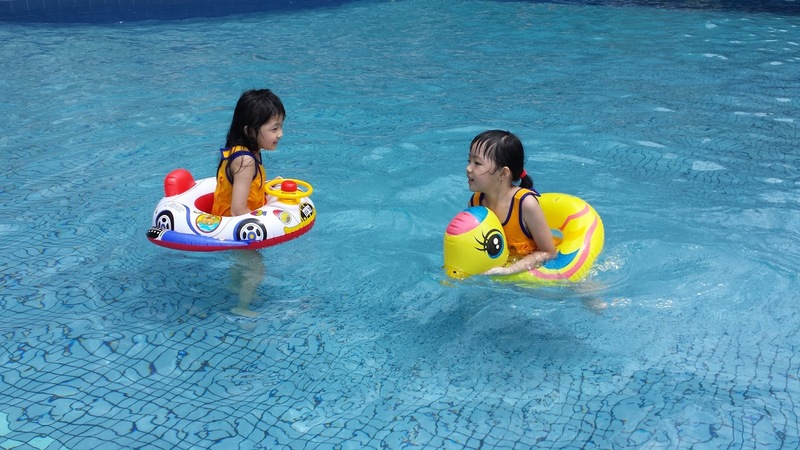 Both my girls love swimming session so much! 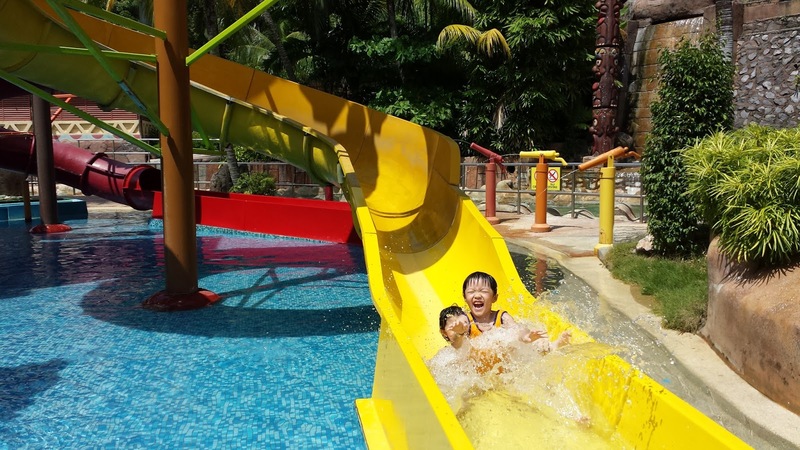 They are now grown up and brave enough to go up the slides themselves. I am a happy mum to see them growth with strong bones and also determination to do something new and gain new experiences. Friso Gold 4’s new and improved formula with LocNutri™ technology is formulated to meet the nutritional demands of my growing child and by consuming Friso milk formula daily will gives them a good digestive system that leads to a better child physical development !Experience more of the world with them is my parenting achievement! Nutrition is very important for child’s brain structure and this ensures their ability for learning and feeds her brain. Friso Gold 4 has the essential nutrients such as Vitamin D, Vitamin B6 and C, Taurine, Selenium, GOS, Zinc and DHA which supports my child’s overall growth and natural body resistance. I observe my eldest girl growth development and she began to have more talent in drawing and she loves art. Being creative and imaginative all the time, she able to produce this beautiful master piece of art and I am really proud of her. She has the patience to do her drawings, paintings and recently we just finish up this glittering Hello Kitty art together. 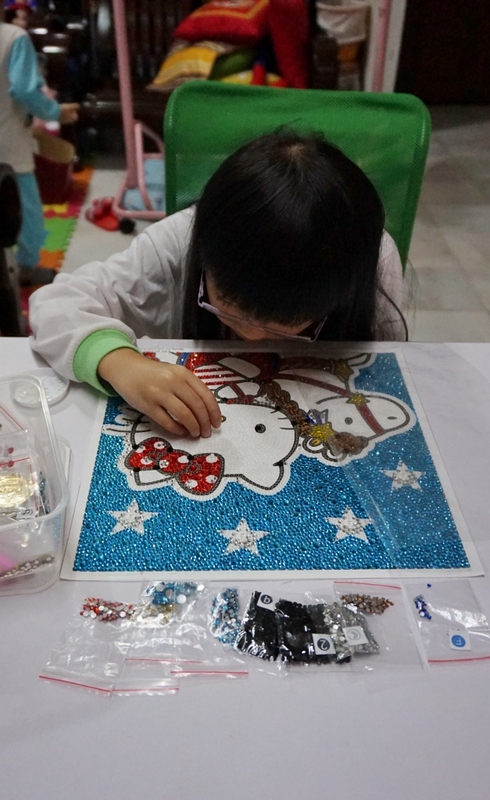 She have to follow the different symbol allocated in each part of the Hello Kitty face portion and stick the glittering colours dots match with the symbol carefully. The final art was so impressive and we both feeling great about it. Good Nutrition definitely will help my child to learn more and drinking Friso Gold since born until now leads her to a strong body inside with good DHA build in her self. I can see her improvement in her creativity and craftsmanship. Playground activities such as going through the obstacles, trampoline, playing slides and other stimulating activities need the children to be strong inside with good motor skill. 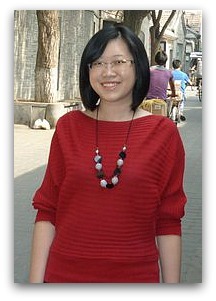 During weekends, I will bring them to playground in shopping mall to let them explore and to sharpen their motor skills. They can jump, skip and run wherever they are inside the play area, getting out the way of the gym obstacles and many more. Besides, these activities also improve their eye-hand coordination and strengthen many muscles too. Some parents might worried of Hand Foot and Mouth Disease and won't let their children to enter playground area. As for me, I gave my kids a good protection from inside with good supply of milk powder that provides them strong immune system so they can join outdoor activities without any worries at all. I believe when they have a healthy digestive system inside will prevents them from bacteria and they can enjoy their playtime. I love this pictures moments where I join my kids for the slides together. It is such a great play time with them and knowing that they are strong inside with good physical development. Playing congkak with my kids as our bonding time together. Kids learn new things and this also gives them a good imagination and learning development. I always encourage my kids to join drawings, colouring contest, events, on the stage activities, playdoh event and many more during our weekends outings. Best pictures taken together. 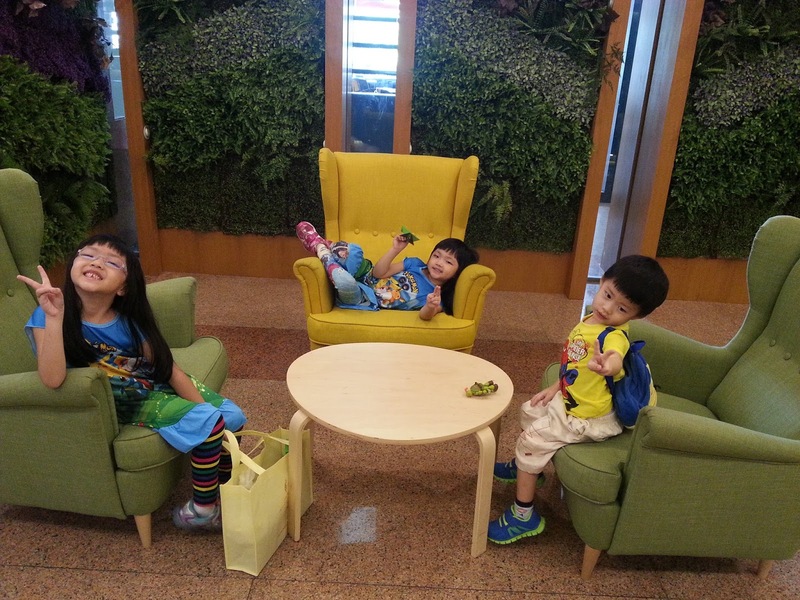 All with cheeky smiles and posing on their own when I bring them travel. Milk supply is a must during our trips. I will usually pack more because my second girl will need her milk at least 3 times continuously at night. If they play long hours, I will ensure they have their milk time in between.They love to explore them selves checking out the new resorts or hotels facilities and siblings have fun together teasing each other and their laughter always cheers me up . I am feeling blessed when they are active and have a strong body inside, enjoying the whole trip, eating well and being playful too. 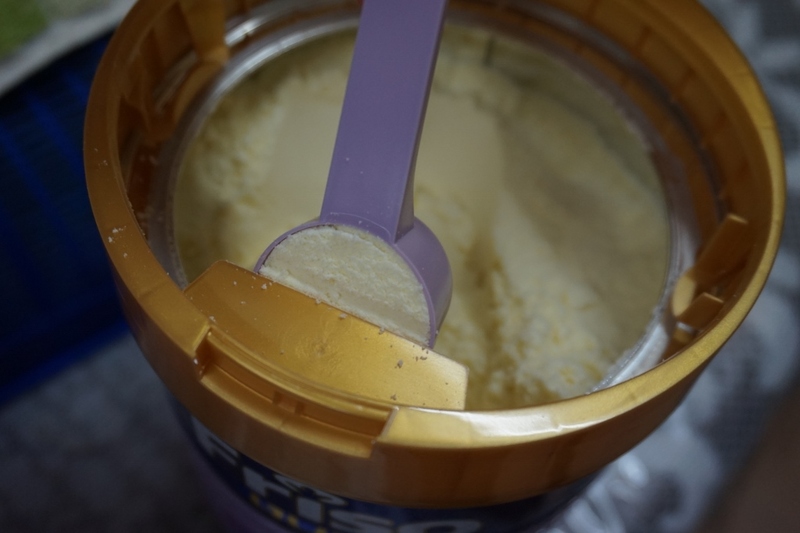 Friso Gold 4 gives me confident and I always believe children need milk powder for their growth and being stronger inside with good digestive health, they can explore more things with me. I will look forward for more new experiences to discover with them together as they consistently surprise me with new abilities and capability. Friso Gold Milk is our family favourites and my motherhood journey that gives me lots of sweet memories that we always treasure.